When you're a mostly-monoglot like me (all my best other languages are dead), it can be hard to keep track of what people around the world are doing in your favourite craft. I generally only see embroidery from other English speakers, either on Pinterest, Instragram, or other social media sites -- which is a real shame, because people from other countries can have very different styles from American or British embroiderers! Today I've put together this post of three Japanese embroiderers whose work inspires me, and I can't recommend enough that you follow them too. 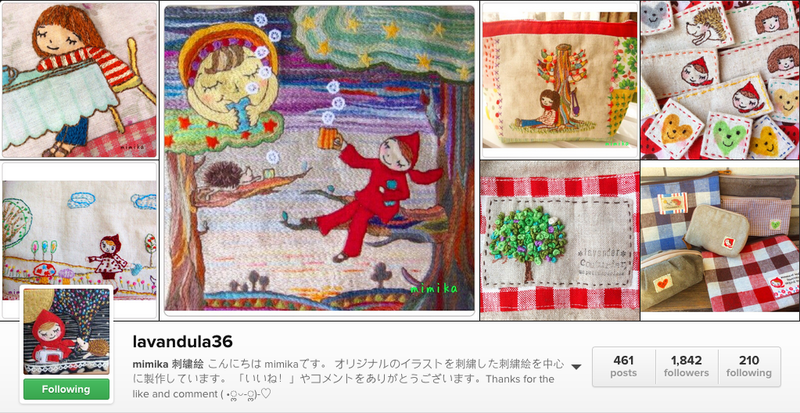 The first embroiderer posts her work under the username ironnahappa. 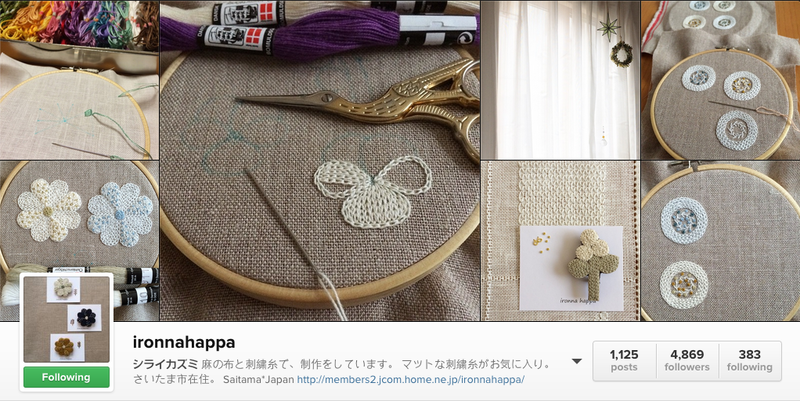 Her work is very 'zakka'; yards of gorgeous chain stitch on natural linens, flowers, and whitework. I am absolutely blown away by her work, and also totally inspired by it. The second account is lavandula36, and is the exact opposite of ironnahappa's work. Instead of very tidy, muted colours, her style is bright and lively, with a more varied stitch texture that catches the eye. I love how she mixes embroidery and illustration in her work. The final embroiderer for today is cicire2013. 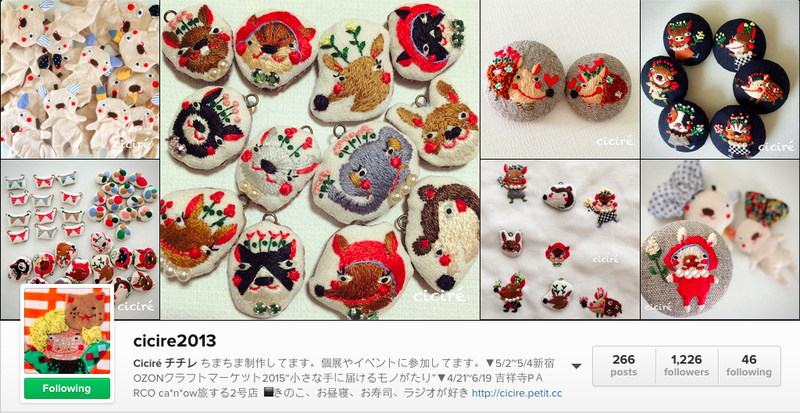 I LOVE her little animal brooches; I want to buy a hundred and put them everywhere! 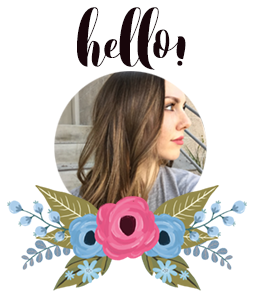 She has a very illustrative style too, but her work is lineless, which allows for more detail in the small spaces she's working in. She is my most recent follow, but I am already so inspired by all of her little critters! So what do you think, have you found any new embroidery faves here? I might do a series on inspiring non-English-speaking embroiderers if I find any other accounts that I'm dying to share.